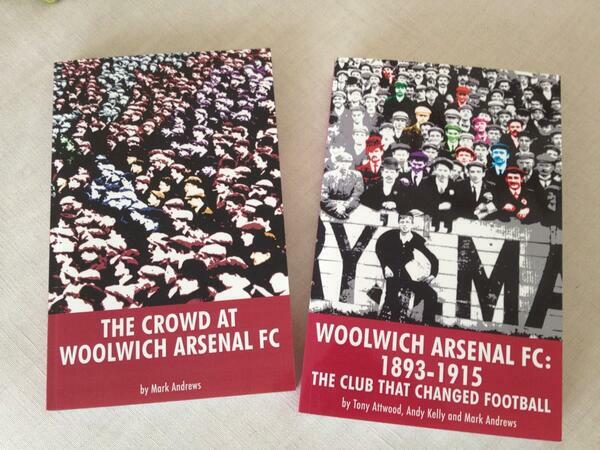 As we at The Arsenal History have discovered over the last few years, there is a major discrepancy in the facts of this story. 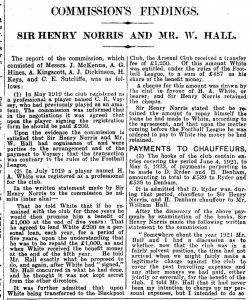 There’s no denying that Arsenal Chairman Sir Henry Norris was banned from football, having been found guilty of a number of financial irregularities. However, the timeline appears to have become skewed over the years, along with who had the authority to execute this decision. The actual story is told in full in Sally Davis’ excellent website that chronicles the life of Norris (relevant links are at the very bottom of the page). The site is so comprehensive that many historians (and Arsenal-bashing fans) seem incapable of reading the whole story and digesting the facts, preferring to dip in and believe they have an understanding. What we will do here is pull out the relevant facts and show what actually happened and when; using contemporary sources, not books using secondary sources written many years after the events. The course of events relating to Norris’ ban date back to 1919 and came to a head in 1927. In February 1927, Norris’ fellow director William Hall was made aware that Norris had forged Herbert Chapman’s signature on a cheque that was used to buy the Arsenal reserve team bus. For some reason, the chairman of Fulham FC was aware of this and had threatened to take the matter to the Football Association to investigate. Hall told Norris that he should resign from Arsenal’s board of directors to prevent an enquiry into Arsenal’s affairs. Norris refused, and Hall resigned instead in late March. Norris also issued writs against Fulham’s chairman and three other employees of the club. This action was his undoing as the Football League became alerted and wanted to know why two of its members were involved in a potential court case against each other, and why a senior director of one of these teams had resigned. Having looked into the situation, Charles Sutcliffe, acting for the Football League, suggested that Norris should resign and that the Football League would not look any further into the club’s finances. 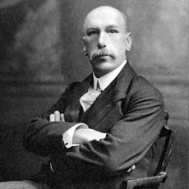 Norris resigned from Arsenal’s board of directors on 1 July 1927. 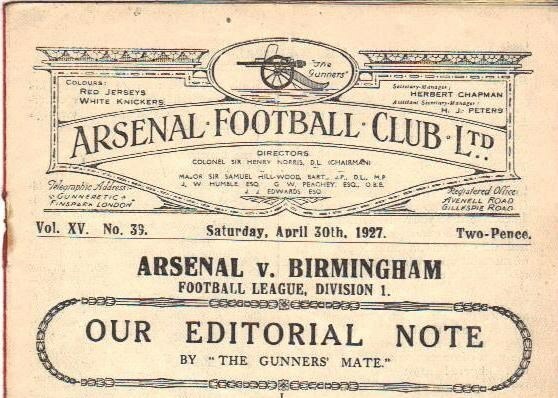 However, the following day William Hall then made a formal application to the Football Association (a higher authority than the Football League) to look into Arsenal’s financial affairs. the payment of travel expenses for Henry Norris in 1927; and the wages of both his and William Hall’s chauffeurs from 1921 to 1923. The FA commission concluded their enquiry on 8 August and made a number of recommendations to the FA council which were acted upon later that month. But before the FA council acted, Henry Norris’ solicitors tried to have the results kept private so that they would not be published in the press. They failed, and this had further implications which have resulted in confusion. The Daily Mail’s report on the commission’s findings are reproduced below. Click on each image to enlarge them. 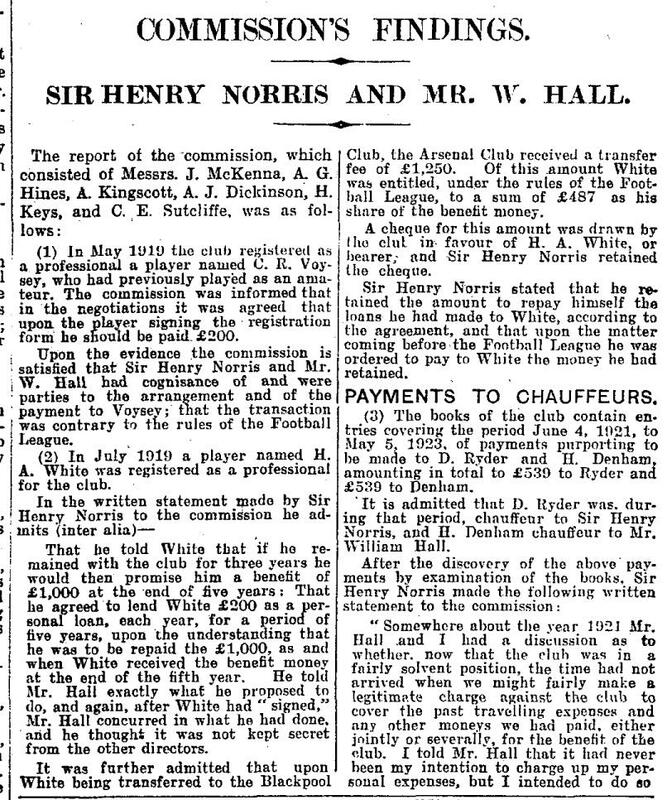 On 29 August 1927 Sir Henry Norris and William Hall were suspended from football sine die. From this point onwards, Norris and Hall played no part in football management whatsoever. They were still shareholders but held quantities so small that they had no influence on the limited company. Hall sold his entire shareholding shortly afterwards but Norris held on to most of his until his death. 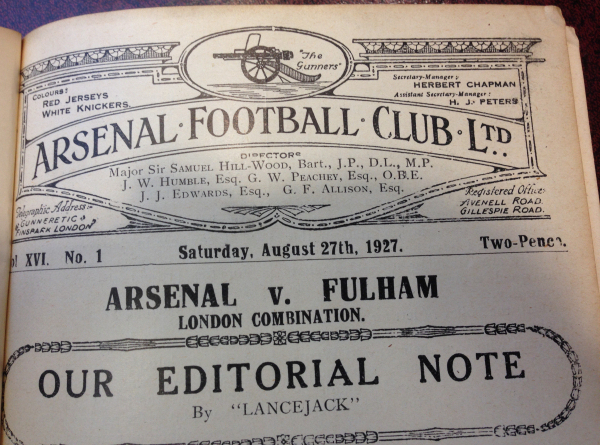 The masthead of the first matchday programme of the 1927-28 season confirmed that Norris and Hall were no longer directors of the club. Two days after this game, the FA commission’s findings were published. As a result, two more Arsenal directors were suspended by the FA. The two other casualties were Jack Humble and George Peachey. That should be the end of the story and the record books should have closed on the matter. But Norris wouldn’t let the matter lie and his actions over the next two years have caused a great deal of confusion to some historians. On 26 November 1928, Norris dropped his action against the Daily Mail. On 5 February 1929 the libel case against the FA was heard in the High Court presided by the Lord Chief Justice (Lord Hewart). Norris lost this case as it was found in the FA’s favour. This is where the confusion arises. Many people believe that this was the point at which Norris was banned from football, but it wasn’t. He was banned by the FA back in August 1927. The libel case had no bearing on the FA’s decision. If Norris had won this case he still wouldn’t have been allowed back into the game: this was merely a simple libel case between two parties. 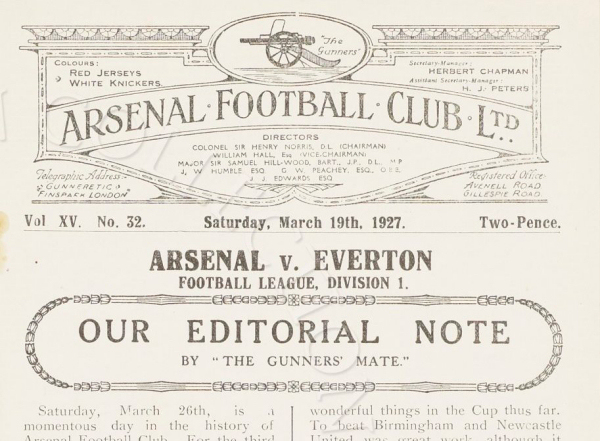 We believe that this decision to ban Norris also adds weight to the defence that he didn’t bribe, or offer a bribe to, anyone back in 1919 to get Arsenal elected to the First Division. If that had been the case, surely there would have been at least one person who would have spoken up at this point. The cast of characters involved in bringing down Norris was many and varied. They managed to dig up all sorts of dirt on him, but absolutely nothing relating to the election. There is another fallacy in Arsenal’s history that has a tenuous connection to this story which will be told at a later date. 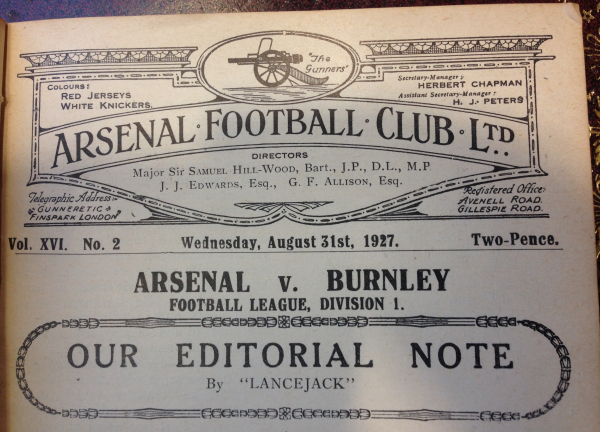 The relevance here is the date, 29 August 1927, that Norris was suspended sine die by the FA. Following discussions with Steve Kell of the AFSC, Mark and I suggested writing for Gunflash for the 2015-16 season. Steve pointed out this would continue Gunflash’s tradition of publishing articles by guest writers, which makes it a great honour for us to be part of this great publication. Current and back issues of Gunflash are available from the Arsenal Football Supporters Club on matchdays on the corner of Gillespie Road and St. Thomas’ Road, and via their website. Special thanks to Paul Matz and Andy Exley for their help with sourcing some of the information.